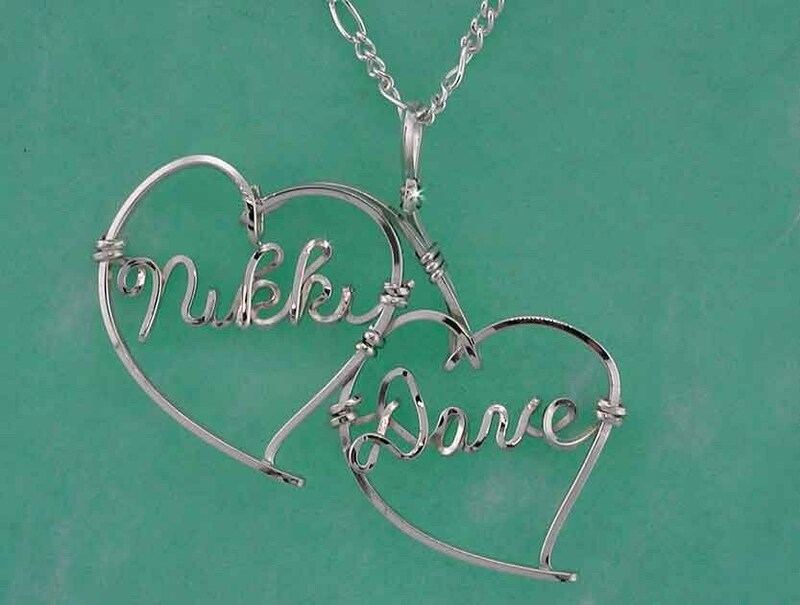 EACH NECKLACE IS CUSTOM MADE TO ORDER WITH TWO JOINED HEARTS and any name you want! 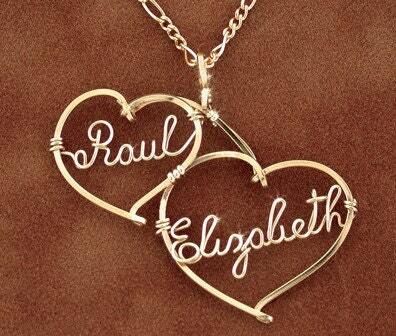 Fine handcrafted jewelry made from a tube of 12 Kart Gold Wire. 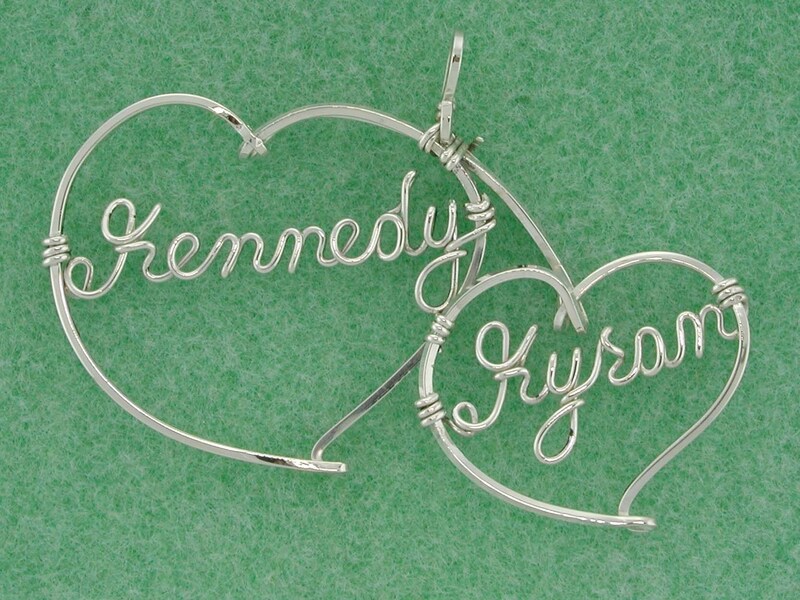 I create this one of a kind PERSONALIZED Sweetheart Necklace with ANY TWO NAMES you want. Every item I design can be made in gold OR sterling silver and comes with a 14kt gold filled Figaro chain or solid sterling silver Figaro chain. ANY TWO NAMES UP TO 8 LETTERS EACH! 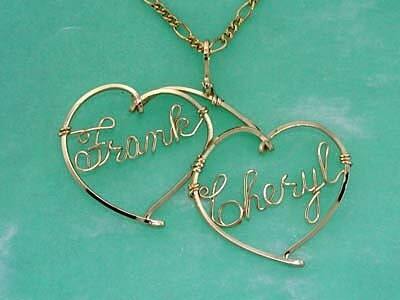 Please include the following information as a note to your purchase: name and length of chain - 16 or 18 inches.